This week all the of the DCWV designers are teaming up with Scor-Pal. Yippee!! 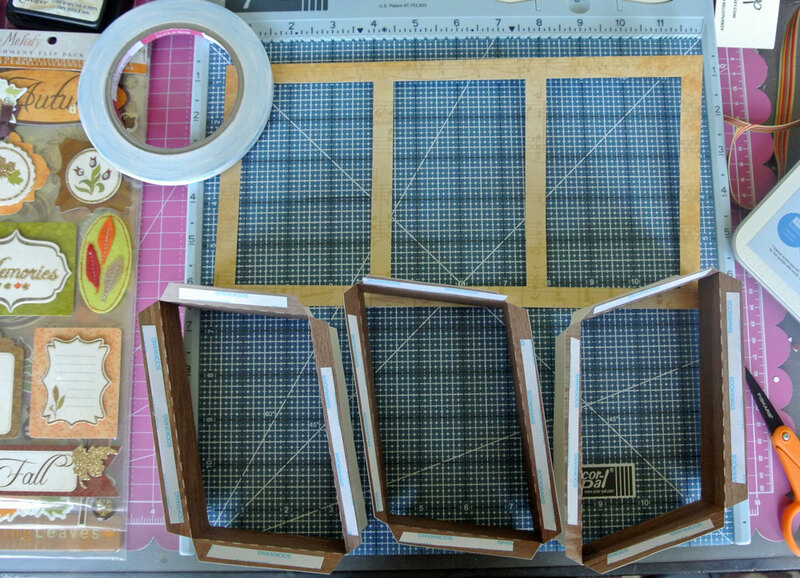 So, I got out my Scor-Pal, Scor-Tape and decided to tackle something I’ve been wanting to try for a while now… a shadow box! And I will be the first to admit that I was a bit scared of this cut especially after I first opened Lori Whitlock’s image. But, her instructions were easy and simple to follow. And the weight of the DCWV paper was perfect for this project. 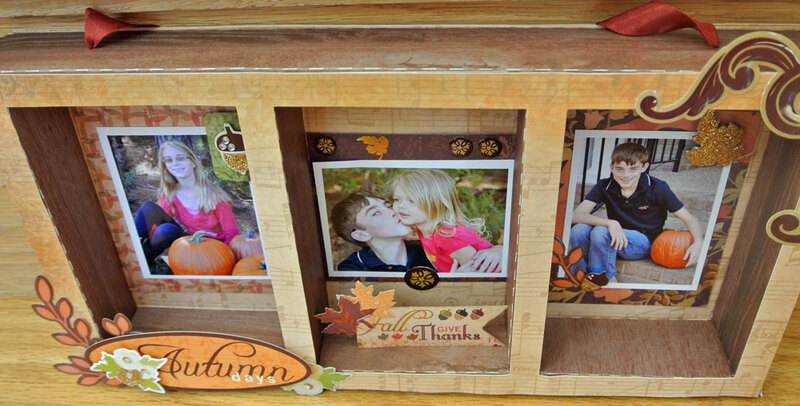 I chose the wood grain paper from the Autumn Melody stack for the boxes and outer edges. You can easily see the score lines that were pre-cut. 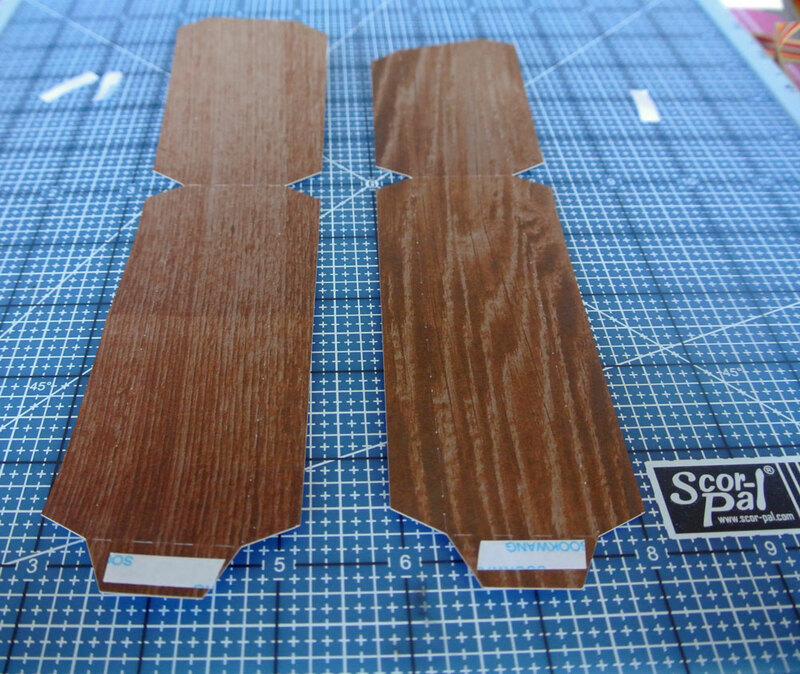 I lightly went over them with my Scor-Pal tool. I used Scor-Tape to adhere my boxes rather than glue. I find that I’m a bit slow and heavy handed to use glue, so Scor-Tape was a great choice. It’s strong enough to hold all the pieces together, and I can control exactly where it goes. A few pictures and embellishments completed my shadow box. I was SO happy with how this turned out that I actually did a happy dance. Make sure you check out all of the wonderful projects made this week by my fellow DCWV designers by going to the DCWV blog and the projects made by the Scor-pal designers at the Scor-pal blog. I know I was amazed! Super Duper Cute!!! Love it! Gorgeous! 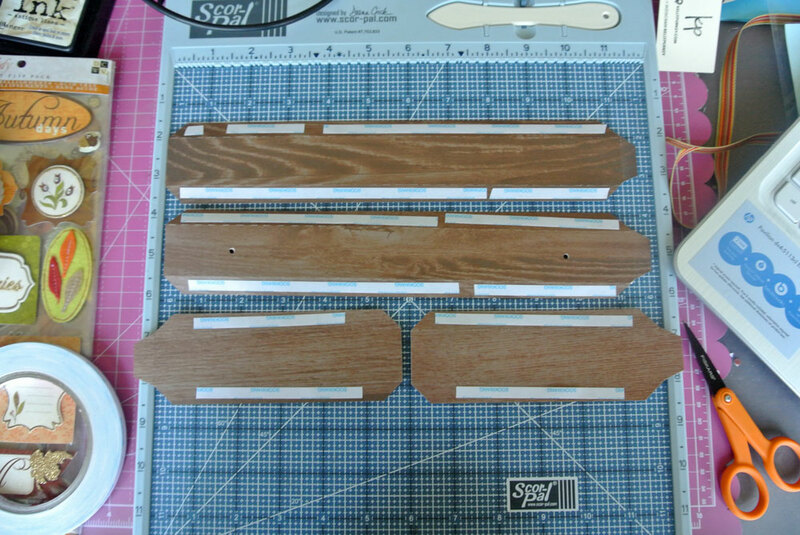 Your paper choices are perfect for both a construction and aesthetic perspective. Isn’t Lori Whitlock amazing? 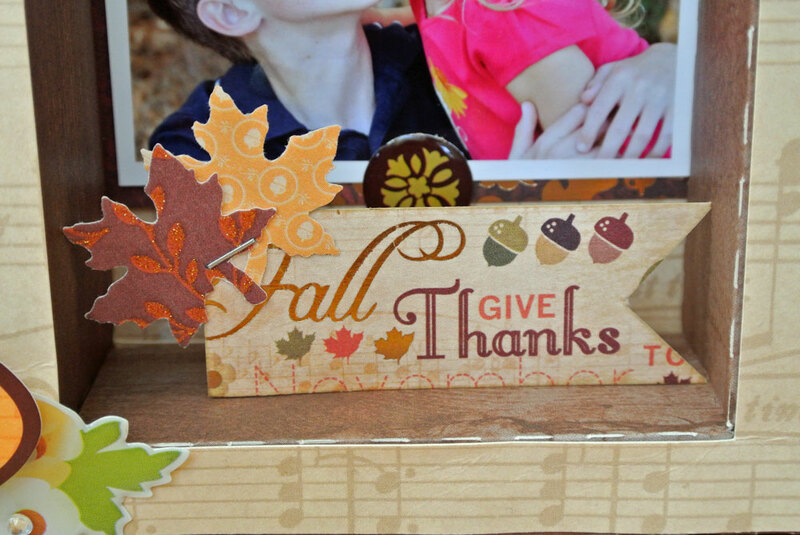 Love what you did here and the use of Scor Tape (awesome stuff) is a great idea! I’d be doing the happy dance too if I completed something as terrific as this! This is amazing! It turned out just beautiful, I love the wood grain paper! OMG!!! You have NO idea how much different this looks here than it did on my phone (I can’t enlarge any pics I receive on my phone)!! You must’ve thought I was absolutely nuts : P !! Thank goodness you were happy with it & didn’t change anything…go do some more Happy Dancing…you earned it! If you get it make sure you check Lori’s YouTube video for assembly instructions. They’re AWESOME!! What a fabulous project and so cute. Thanks for sharing! WOW – your shadow box is amazing and beautiful!!! Wow, this is really amazing! Thanks for the stepped out photots! Love this shadow box. Very pretty. Thanks for the tuturial! Beautiful!! Thank you for the photos and detailed instructions! You make it look so easy! Great project, Sara! Wow! 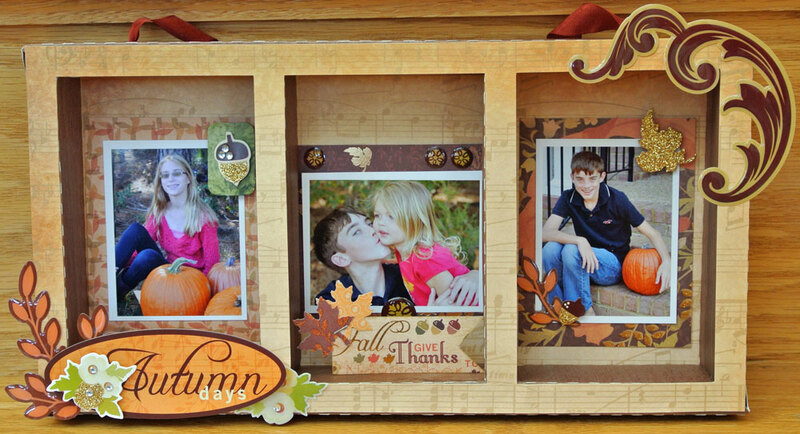 Loved your shadow box which is perfect for fall decor! Thank you for the tutorial, too! So helpful to see in photos, the how to! OMG! This is freaking awesome!